When seniors develop age-related health conditions, they frequently find it difficult to complete routine tasks. If your loved one has physical or cognitive conditions that are making living independently a challenge, it may be time to consider in-home senior care. To help you decide if your elderly loved one needs in-home assistance, the Harrisburg senior care experts have compiled 4 signs that a senior could benefit from home care. Falls are common among seniors, sometimes leading to serious injury. Seniors who have difficulty with balance or experience dizziness from medications or other conditions have an elevated risk of falling in the home. If your loved one has physical challenges that make navigating the home difficult, he or she may benefit from the mobility assistance of a caregiver who can help prevent falls. When cooking, cleaning, and laundry become difficult for seniors, they may begin neglecting their home. If your elderly relative has cognitive challenges, he or she may forget to complete certain daily tasks, like cooking, eating, or taking out the trash. With a Harrisburg live-in caregiver who can help with a range of routine activities, including meal preparation, cleaning, and more, you can have peace of mind knowing that your loved one will receive the assistance he or she needs. Dementia and other neurological conditions can cause extreme forgetfulness and confusion, which can lead to wandering, forgetting to take medication, or leaving appliances on. If you have noticed that your loved one seems to be experiencing memory loss, a caregiver can help ensure that he or she will stay out of danger. As live-in caregivers offer around-the-clock availability and safety monitoring, home care can help prevent senior injuries, wandering, and other problems. When seniors have physical challenges, they may not be able to adequately navigate the home or practice good hygiene. As mobility issues can limit your loved one’s ability to bathe, brush his or her teeth, access water, or get dressed, he or she may begin neglecting his or her own personal care. If you notice that your loved one is failing to shower regularly or to change his or her clothes every day, he or she may need a caregiver’s assistance to maintain a high-level of personal hygiene. For seniors who experience physical or cognitive challenges, a professional caregiver can help them live comfortably and independently at home. 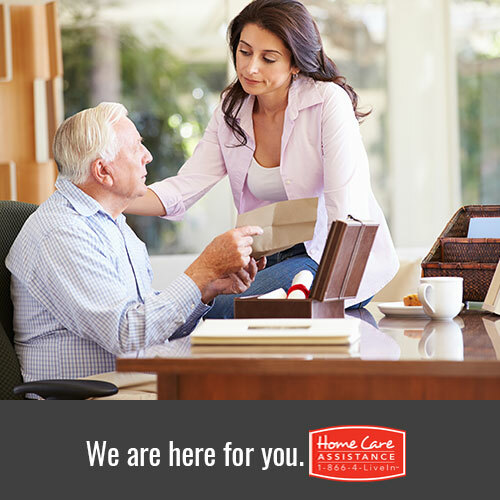 At Home Care Assistance, our high-caliber caregivers are expertly trained to provide safety monitoring and mobility assistance, as well as help with a range of routine activities, including light housework, cooking, and personal grooming. Additionally, we also offer senior care options for a number of conditions, including dementia and Parkinson’s care in Harrisburg. To learn more about senior home care options, reach out to an experienced Care Manager at (717) 540-4663 and schedule a complimentary in-home consultation.